It is understood that the EC is currently considering prosecuting the UK for its failure to achieve targets in the period 2006-2010. This is likely to mean that the UK Government is embarrassed into doing something about it! There are currently 20 prosecutions pending for companies that have failed to report on their targets. This is just the first batch. It is entirely possible that once the prosecutions have started, attention will switch to ATFs that have reported, but failed to achieve target. Target compliance is tied to the number of CODs issued by an ATF, and the number of Category C vehicles being scrapped is also an issue of current debate, particularly in view of the fact that 75% of Category C vehicles do not undergo a Vehicle Identity Check (VIC). By their definition Premature ELV’s are vehicles that have not survived the expected life span of 12-15 years that most vehicle manufacturers build into their vehicles. The reasons for this can be many, however I suspect that most will be due to accident, fire, flood or other events that result in an insurance claim. Insurance engineers completing vehicle inspections need to determine if the vehicle could be repaired economically; if repair is not viable, then vehicles need to be dealt with as salvage and the inspecting engineer must determine if the vehicle is safe to repair, or must it be removed from use? One of the most important decisions that an engineer makes is deciding if the vehicle ‘could’ or ‘should’ be repaired; the Engineer needs to know the extent of damage, potential method of repair and availability of parts. Knowledge of vehicle construction is very important here, especially as manufacturers try to save weight whilst developing stronger vehicle bodies, the greater use of high strength steel makes repair increasingly difficult and any motor salvage inspection needs to balance repair potential against passenger safety – in other words, can any professional engineer signing a vehicle write-off report confirm that the vehicle could be repaired to a standard that would maintain occupant safety in the event of another accident. Developed over many years the Association of British Insurers (ABI) Code of Practice for Motor Salvage assists the decision making process when inspecting vehicles in the UK that are written-off. • Category B. Break only – bolt on parts can be re-used, but the vehicle structure is so badly damaged that this must be removed from use and destroyed. 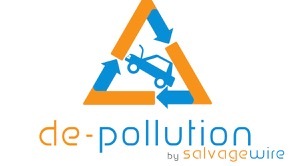 • Category C. Repairable Salvage – repairs using normal methods of insurance repair (brand new parts, manufacturer labour) exceed the value of the vehicle, however cheaper labour, second hand parts, or ignoring ‘cosmetic’ damage means that the vehicle could be repaired in the salvage industry. • Category D. Constructive Total Loss – where the repair cost of the vehicle when added to other costs, such as loss of use, or the value of the salvage, exceeds the value of the vehicle, then insurers can decide to treat the vehicle as a write-off and minimise their costs. As an example, a £10,000 vehicle with £8,000 worth of damage may return £3,000 salvage, so a settlement of £10,000 less £3,000 salvage return gives a final outlay of £7,000 against the claim. Less than the assessed repair cost of £8,000. There are a number of factors that need to be reviewed when inspecting potential write-offs, including type of damage, repair required to maintain occupant protection, and availability of parts; a few examples are detailed below. Factors to consider include type of water – fresh, salt or contaminated (sewage), height of water, and length of time in water. Current trends towards increasingly complex electronics will mean that any salt water damage will render the vehicle unrepairable, and if a vehicle has been submerged to a significant depth – for example water high enough to contaminate air bags) then the vehicle should be removed from use. Excessive heat removes the strength from High Strength Steel, so fire damage to structural areas of newer vehicles is serious, I would contend that, unless the damage is very localised, all fire damaged vehicles should not be repaired. A vehicle severely structurally damaged where parts are not available should not be repaired, releasing one of these vehicles into the motor salvage market for repair could lead to a substandard repair being completed and the general public being put in danger as an unsafe vehicle is in use. Engineers need to know what parts are available from the vehicle manufacturers and any safeguards they put in place. For example, many manufacturers place controls on the supply of replacement bodyshells that could result in these not being available to the salvage industry, thus compromising a safe repair on motor salvage. In summary, all motor engineers inspecting vehicles for insurance repair need to be fully aware of current vehicle design and construction, they need to know repair techniques for all types of vehicles, and also decide if a salvage vehicle can be safely repaired and placed back into use. And we haven’t started on electric vehicles yet! You have been in the auto recycling business since you finished school, your children have been brought up in the business and their children are of an age where they want to finish school and come and join you, and the Environment Agency are now asking you to take a test to prove your competent to operate a recycling yard. You are probably thinking what do they know about running a salvage yard that I don’t? Well, the bad news is that Technical Competency is here to stay; the good news is that it is not too difficult once you know how the testing procedure works and have received a little bit of training. There are three elements to the test, the generic module and then two activity specific modules that most End of Life Vehicle sites should be taking. • The Law – this includes Waste Carriers, Environmental Permitting, Hazardous Waste Controls and so on. • Health and Safety – Equipment, Manual Handling, People on Site etc. • Environmental Protection – for example - Drainage, Bunding, Liquid Containment, spillages, etc. This part of the test is 20 questions with multi-choice answers. The activity specific modules focus directly into such areas as End of Life Vehicles, Metal Recycling, Waste transfer Station and so-on, and these are 6 questions for each, again with multiple choice answers. It is best to work with professionals in this area to determine the exact modules required and the training needed to pass the Technical Competency tests, both UK motor salvage federations are offering training to their members, so their web sites would be a good place to start, www.mvda.org.uk and www.bvsf.org.uk , you could also work with your local Environment Agency office to determine what is required, as the modules detailed above are only suitable for members of staff with considerable experience of running auto recycling operations, and newer staff may be required to complete more intensive training and development before being technically competent. If you are based outside of England and Wales then there is currently no requirement for you to hold this qualification, so you can watch with interest as your colleagues work through these tests, however if you are based in England and Wales you cannot ignore the requirements, without a Certificate of Technical Competence the Environment Agency could revoke your Waste Management Licence or Environmental Permit with major consequences on your business. Or, how to avoid 271,000 crashes each year! Spent an afternoon at the Motor Industry Research Association (MIRA) establishment recently investigating Autonomous Emergency Braking (AEB) with Thatcham and innovITS Advance. I was able to try a number of vehicles, both production and prototype models with advanced electronics that are able to take control from the driver and provide braking in emergency situations. The result of this intervention is either complete avoidance of an impact or much reduced impact speeds with significantly reduced levels of vehicle damage, personal injuries and pedestrian casualties. Predictions for the UK include: 2,700 fewer pedestrians killed or injured annually, 160,000 fewer whiplash injuries annually, 271,000 crashes will be avoided or reduced in severity annually. Systems use radar, camera or combinations of both to monitor the road ahead. Potential collisions are identified and warnings may be given by audible, visual or tactile means, if the driver ignores these warnings then the system will apply maximum braking force to either bring the car to a complete standstill and avoid an accident, or reduce the speed of impact as much as possible. Many systems will only work to best effect below 20mph, above 20mph there could still be retardation - the impact will not be avoided but impact speed will be significantly lower with subsequent reduction in damage and costs. High speed accidents will still occur and there will be little change from current statistics – for the moment – research and development in this area is ongoing. AEB technology is currently available in Volvo Cars, some Mercedes Benz models and the new Ford Focus. Fitment in vehicles will be driven by customer demand rather than legislation and it is expected that within the next 10 years the majority of new vehicles will have these systems available as standard fitment in some or all of the range. 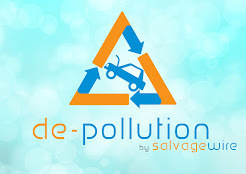 What does this mean to the motor salvage and auto recycling marketplace? The reduction in accident volume will impact total loss volumes and also the opportunities for the use of green parts in vehicle repair – volume of total loss reductions will be difficult to predict but will be greatest on newer vehicles. With all the technology fitted, and the rapid advance of new technology vehicles will become obsolete much faster than currently so there will be more reaching end of life status at a much younger age – we are heading towards ‘disposable’ vehicles that some consumers will view in much the same way as we currently see computers and other household items.